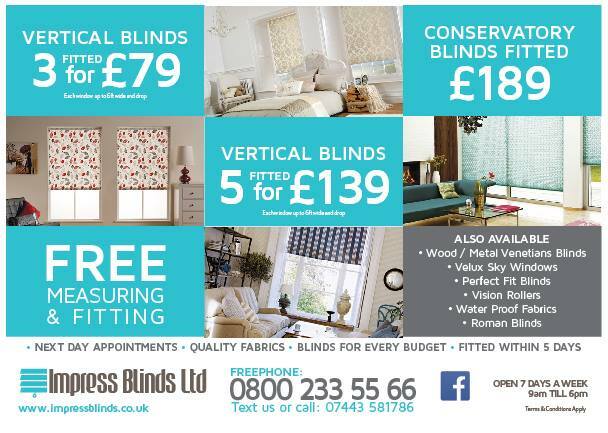 Made to measure blinds from Impress Blinds serve many distinctive purposes at one time. While they master the game of privacy at all times for your room windows, folding or rolling them up to reveal a required part of your windowpane also lets in fresh air and daylight offering a breath of fresh air to your indoors. We have a wide selection of Cheap Windows Blinds in many different styles and materials providing a unique look to your home interior while boosting privacy or natural freshness as preferred. Middlesbrough is a beautiful town, our affordable windows blinds aim to match your interior beauty with the outside loveliness the town has to offer. Impress Blinds is your one stop shop for all kinds and types of windows blinds. Are you looking for cheap but very stylish composite material Custom Roller Blinds or unique Vertical Blinds are your first preference? We have all designs and colors available. Our custom Roman Blinds are not only made from thick and durable fabric materials but also provide enhanced privacy and luxurious folding exposing your windows for fresh daylight and air when required. Get fresh and attractive colors with our Vision Blinds that let in all the daylight and fresh air that your need and also have a look at our top quality Metal Venetian blinds providing cheap and long lasting window coverage at all times. For your conservatories in Middlesbrough, we have special Conservatory Blinds as well along with Custom Wooden Blinds in all colors and designs to suit majestic luxurious interiors. Do you have rather unusually designed windows in any of your rooms with unique measurements that don’t fit regular windows blinds? Impress Blinds can provide made to measure window blinds in any custom measurements. We offer free measurement service that takes all your custom requirements into account and our free installation service in Middlesbrough will make our unique windows blinds look neat on your windows with a full install including all hooks, nails, screws and other tools perfectly. Call us now to book your free visit and make your windows look bright speaking out loud about your interior designing at all times.